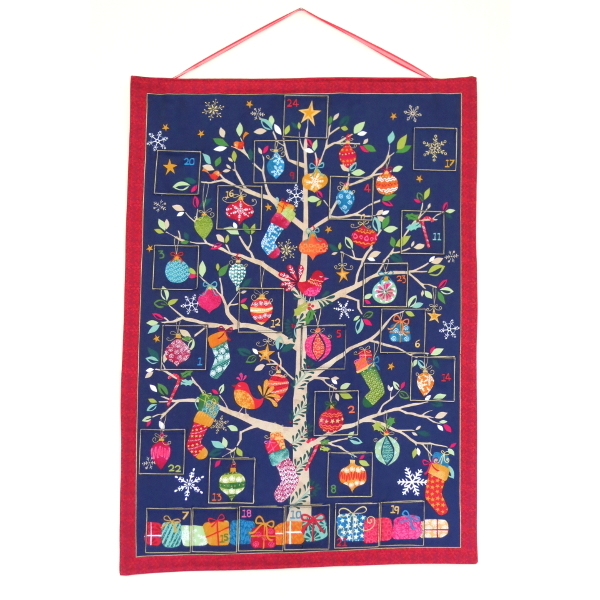 Handmade Modern Christmas Tree style reusable advent calendar. 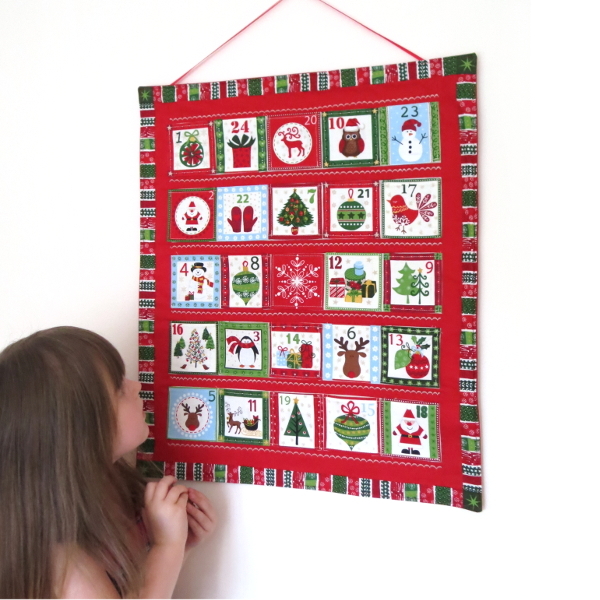 The advent calendar measures approximately 50cm x 70cm. The pockets are 6cm x 6cm. Order now for Advent 2017. 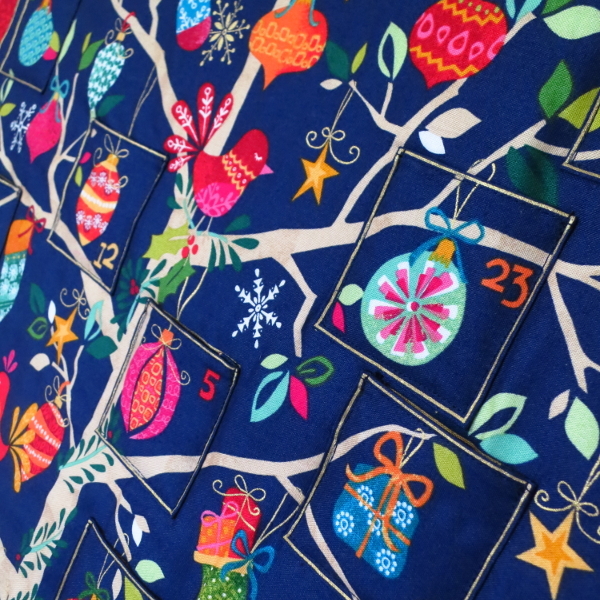 This exquisite fabric advent calendar will take pride of place in your home in the month before Christmas, adding festive cheer weeks before you put up your Christmas tree. 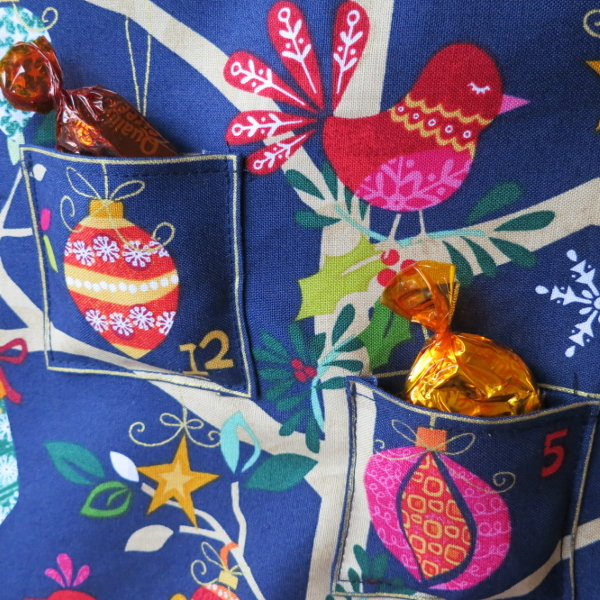 There can be no comparison between the opulence of this piece and of commercial advent calendars. Through your purchase, you will be beginning a new family tradition full of the magic and joy of Christmas. 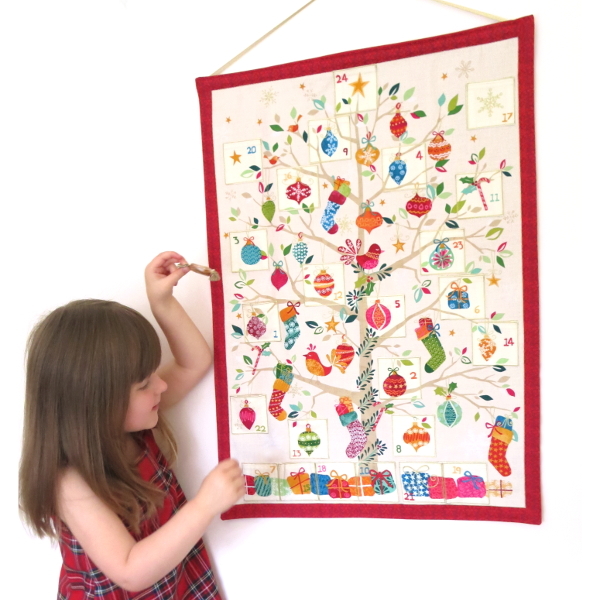 Let your imagination run wild and fill the 24 pockets with not just sweets or chocolates, but maybe tiny gifts, or clues to special Christmas activities for each day. 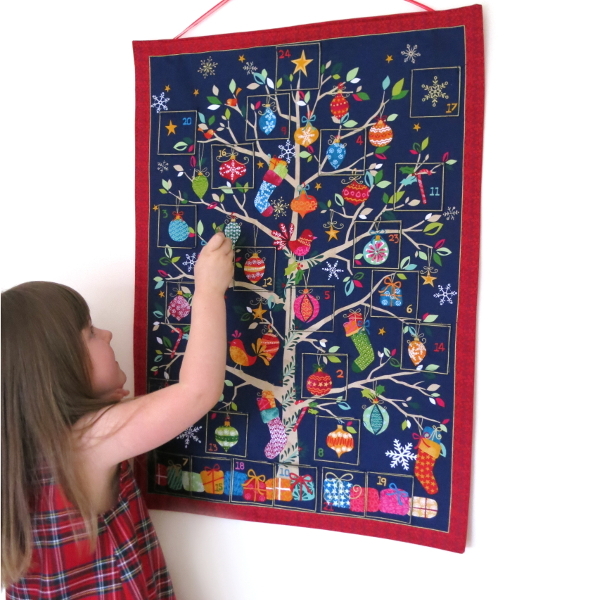 There is no doubt that your new advent calendar will become a family heirloom. 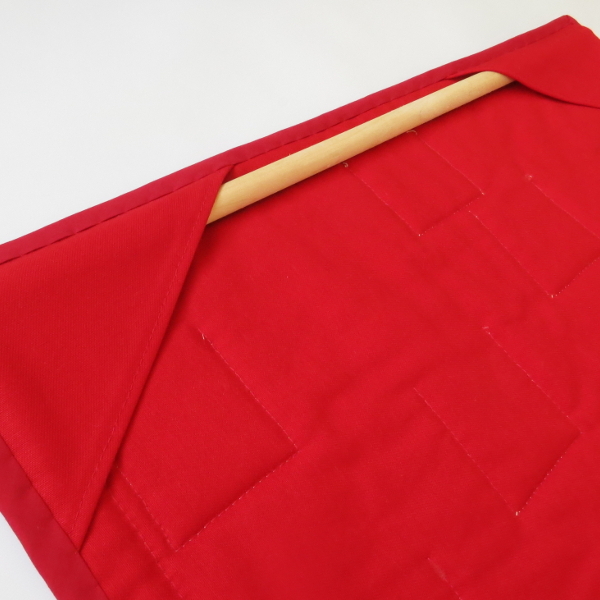 It is made with such care and attention out of quality cottons, to withstand the test of time so you can bring it out year after year. 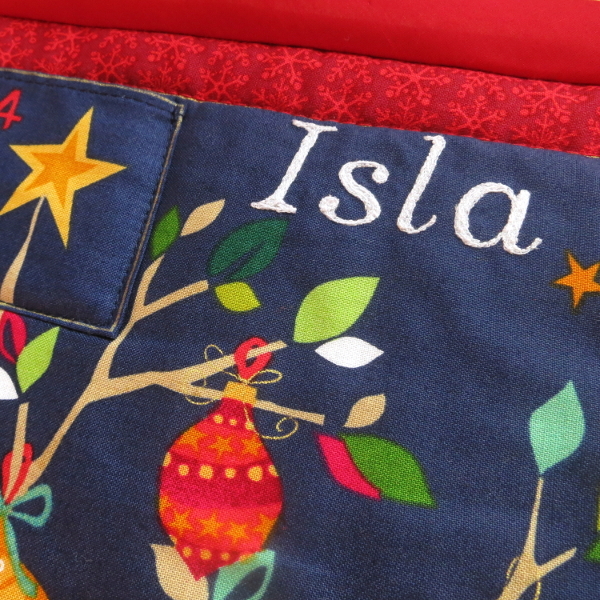 Would you like to personalise your advent calendar? I can embroider in your own handwriting! Please take a look at this listing for further details. To keep it looking pristine, sponge clean if necessary.